Welcome to Cambridge Las Piñas! 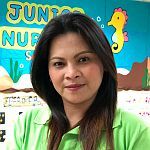 As one of the Philippines’ leading preschools, CAMBRIDGE Las Piñas ensures the wholistic development of our young students, as they take part in meaningful projects that give back to the community. 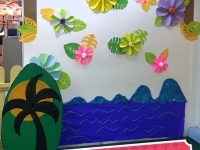 Under the guidance of teachers and parents working together, our students are provided the best preschool experience. Teachers of Cambridge Las Piñas! 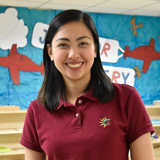 Being a kid at heart is what inspired Teacher Jea to become a preschool teacher. 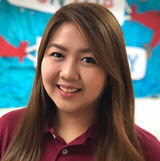 She earned her degree in Bachelor of Elementary Education Major in Early Childhood from Assumption College, Makati in 2010, and became a licensed teacher in the same year. She has been teaching since then, and is now the Directress of Las Pinas Centre. As she works with children in her everyday life, she believes that all children are unique and that they learn best when they are having fun. 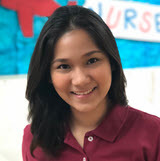 Teacher Kei got her Bachelor’s degree in Biology at the University of Santo Tomas in 2009 but instead of pursuing Medicine school, she realized that her passions are dancing and teaching kids. 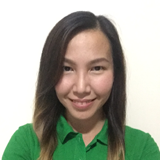 She then took her second course, Bachelor in Elementary Education major in Special Education, at the Far Eastern University and became a licensed teacher on May 2017. Graduated from University of Santo Tomas with a Bachelor's degree in elementary education major in Special education. This is her 4th year in teaching. She is a jolly and flexible person. She loves teaching kids. 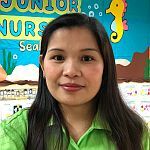 Teacher Bien graduated from the University of Santo Tomas with a double degree in Bachelor of Secondary Education and Bachelor of Arts and Letters major in Social Sciences. She believes that to be at their best, teachers must communicate their enthusiasm, to show leadership in the classroom, and to use whatever they find practical in an effort to draw out the most authentic and exceptional experiences from their students. 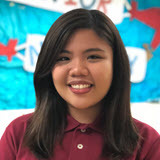 Teacher Micah knew even before that she wanted to be in a field where she could help other people in different walks of life and create positive impact in the lives of children. 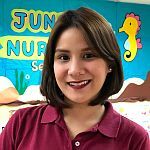 Driven by passion and purpose, Teacher Micah pursued her degree in Bachelor of Elementary Education Major in Preschool Education at the University of Santo Tomas. Teacher Micah aspires to become a social worker someday to assist and understand individuals and communities towards a better change. 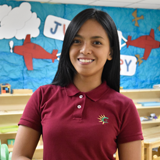 Teacher Caryl graduated from St. Scholastica's College Manila with a Bachelor's Degree in Elementary Education Major in Special Education in 2016, and earned her professional license on the same year. She has been teaching preschool for 2 years now. Aside from teaching, she is also into sports and loves cooking. Beat the heat with our Summer Classes and Afternoon Enrichment Programs!